Long time readers will know the story of my friend Jodie and her fur sisters Cilla and Jessie and our plea to re-home these beauties together when their mumma sadly passed away in 2012. Cilla joined her mumma only 7 weeks later. Yesterday I sat with my friend and the beautiful Jessie, holding them both as Jessie passed over the bridge. 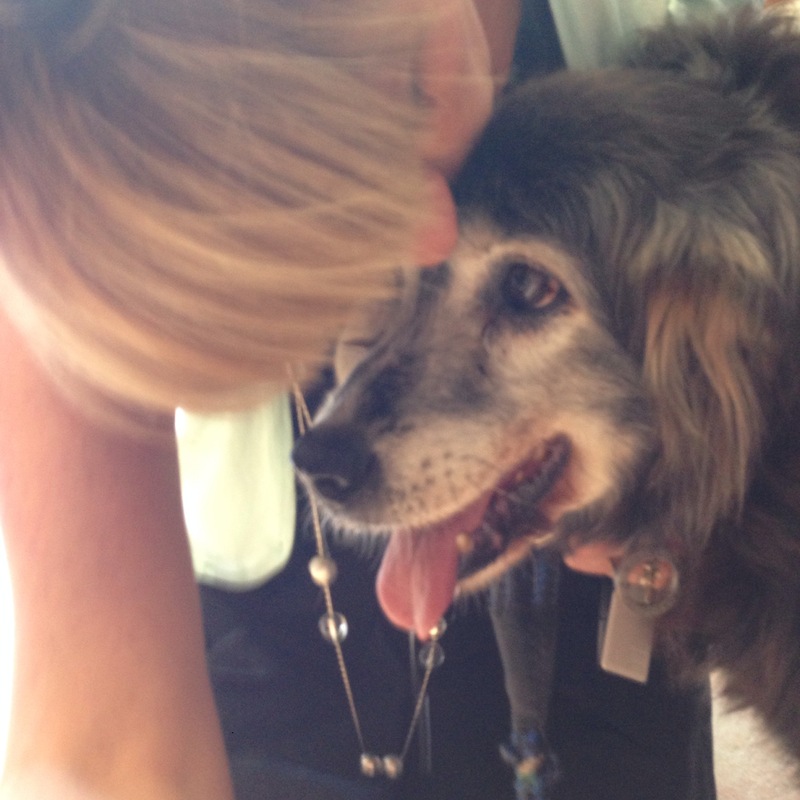 Almost 17, Jessie had developed a tumour on her face and life was getting a little tricky for this gorgeous old girl. I’ve never been present when an animal has been euthanised. It was somehow calmer than I thought it would be. It was raw. It was devastatingly heartbreaking. And it was beautiful. The last move Jessie made was to snuggle into Jodie’s lap before she crossed over, as if to thank Jodie for being the best non-fur sister a girl could ever hope for. Run free sweet Jessie-dawg. Have fun with your mumma and Cilla. You’ve earned your wings and heaven just got another gorgeous furry guardian angel. So sad 😦 Sorry for your loss. I recently lost my 17 year old lab mix, I’d had her since she was 6 weeks old. It was like losing a family member. I feel somehow a little better knowing she and Teddy crossed the bridge together. Yeah, somehow I think they crossed together….. can’t prove it, just a feeling…. My person had tears in her eyes while she was reading this.